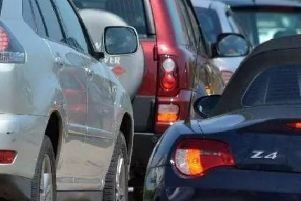 The A47 was blocked from Peterborough to Wansford this morning (Wednesday, November 1), with queues said to be seven miles long. A police spokeswoman said: "We were called at 7.30am to the westbound carriageway of the A47 (near Sacrewell Farm). There was a three vehicle collision between a Fiat Punto, Ford Galaxy and Ford Transit van." The East of England Ambulance Service was called at 7.35am to the crash. An ambulance was sent and all involved were assessed on the scene, but nobody required hospital treatment. The road reopened around 9.30am.